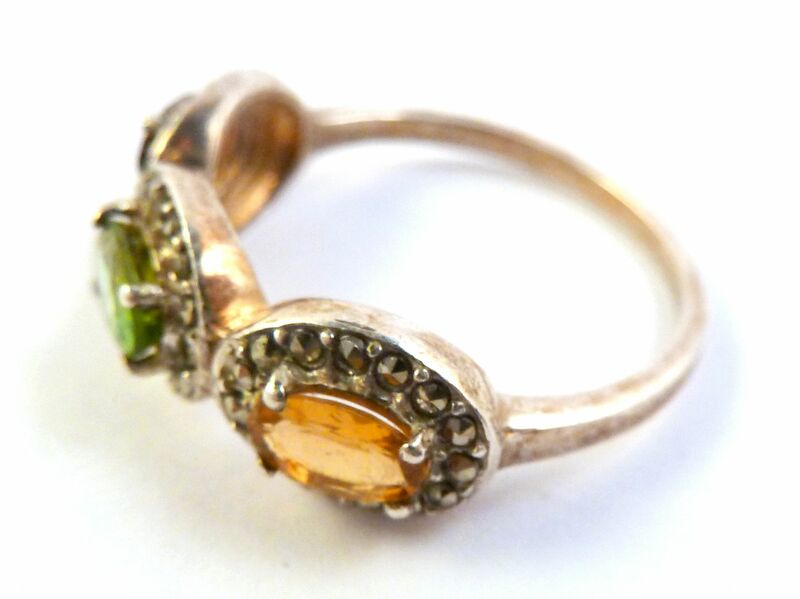 Vintage Style Silver Plated Marcasite Set Trilogy Ring. 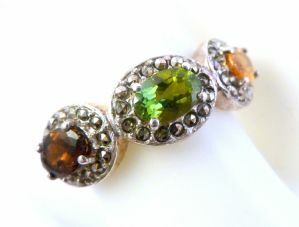 Vintage style, marcasite and rhinestone trilogy ring. 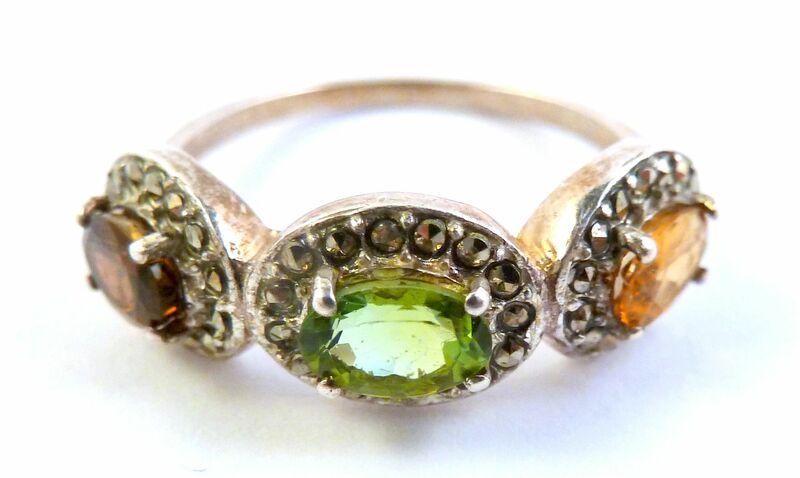 Vintage style, marcasite set trilogy ring. 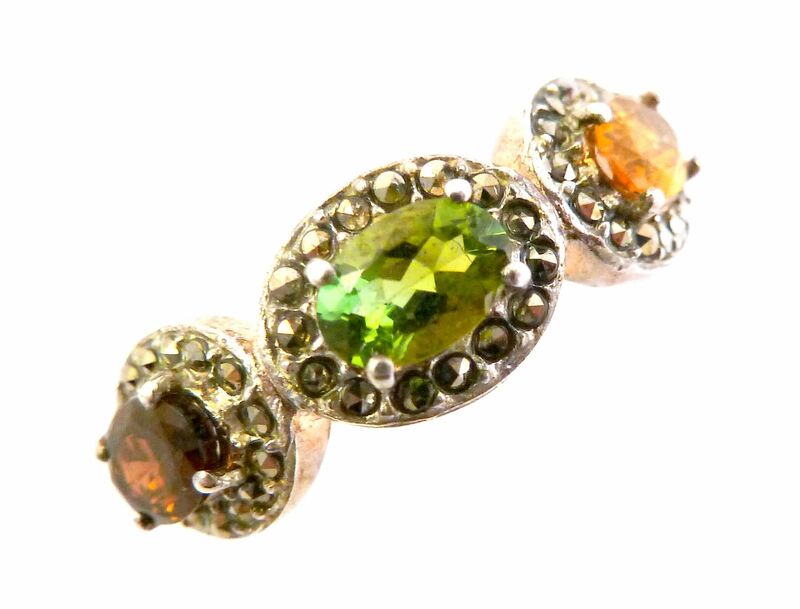 The ring is set with three large faux gemstones ( faux garnet, faux peridot and faux citrine ) bordered by marcasite stones. Set on a plain silver plated band.Modern ring designed with vintage in mind. Ring Size UK R 1/2, US 8 7/8. 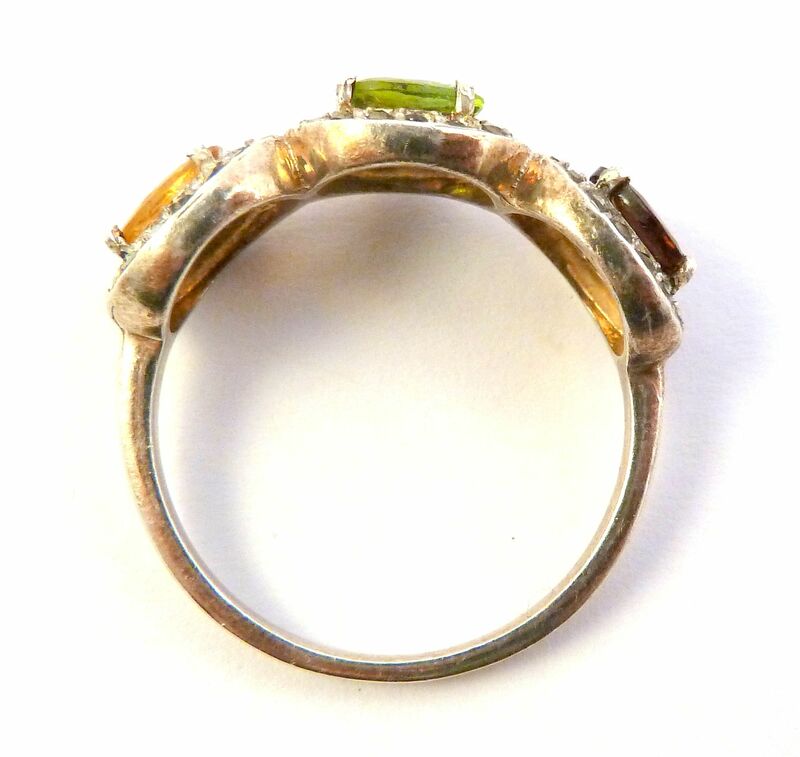 Modern ring designed in a vintage style.